If you are looking to have the exterior of your home decorated for the holidays call us for a free quote. We will provide you with simple options to make your homes exterior festive for the holidays. We offer installation and remaoval of your holiday lights. 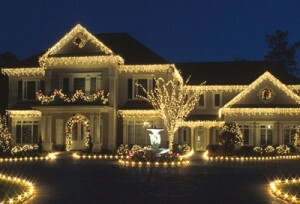 Give us a call today so we can light up your home or business for Christmas.